On the go and in need of expert Toyota service and auto repairs nearby? 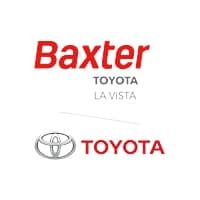 Head to the Toyota Express Lube station at Baxter Toyota La Vista. The team at our Toyota dealership near Omaha, NE, will be able to take care of your Toyota car, truck, SUV or van in no time, so you can return to Nebraska roadways without skipping a beat. With extended hours to 8 p.m., our Toyota Express Lube station makes it easy to give your Toyota the repairs that it needs. Schedule Toyota service online, then head to our Greater Omaha Toyota dealer to meet with our friendly and knowledgeable Toyota service advisors. Our Toyota-trained technicians are well versed in all makes and models, so you can rest assured that your Toyota car, truck or SUV will be well cared for. Plus, we offer convenient appointment times so you can enjoy auto service at a time that’s most ideal for you. Schedule Toyota Express service at Baxter Toyota La Vista, then head to our Toyota dealership near Omaha, NE. We look forward to giving you the exemplary auto repairs that you deserve!